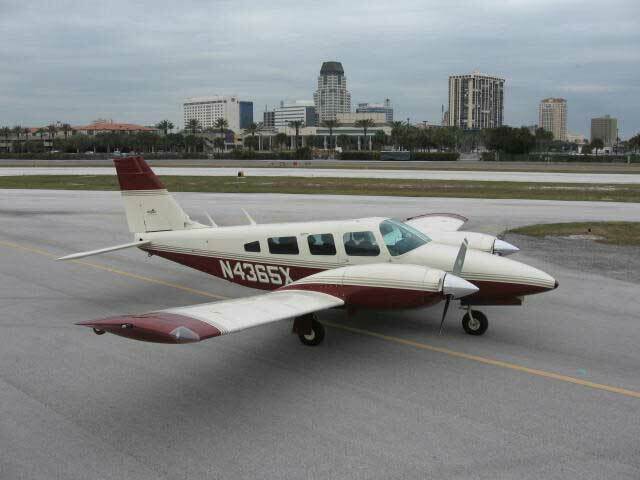 Thank you inquiring about multi engine instruction/rental in our Piper Seneca II. The Seneca is based at the Norwood Airport, and is equipped well for today's busy ATC environment. It has a six place intercom, and a stereo built in radio/cassette, that fades in and out with ATC communications for those long trips. It has 6 very comfortable new cloth seats for maximum comfort. A separate Janitrol heater is also present. Further it is equipped with a storm scope and a back up artificial horizon and altimeter. It also has a back up radio with Headset plug-inns. This Seneca is here for the advanced pilot who seeks quality instruction from line airline pilots with thousand of hours of experience. A multi engine rating can be obtained in combination with use of the multi engine simulator at the Norwood Flight Center, and the Seneca is also available for the qualified renter. CRM training and Airline pilot training can also easily be obtained in the Seneca. Getting ready for that airline simulator check or preparing for a FAR 135/121 training program? The Seneca II and it's quality into detail flight and ground instruction will get you well prepared. Have that IFR ticket , but have never flown before in IMC ? Have the night endorsment, but still feel uncomfortable at night flying the skies ? All those voids can be fulfilled with a couple of hours in a well capable twin, with ease. a real professional out there once you finished our program. A typical lesson consists of a 4 hour block, in which we will start with a thorough pre brief written home work/tests some simulator work and the actual flying , followed by the de brief. If a lesson needs to be adapted to the customers wishes, that can be accomplished of course, but keep in mind that this is serious flying and not a quick 45 min around the pattern lesson! We will and cannot compete with the "guaranteed" multi engine course taught by some flight schools. Yes you will obtain the rating, but still lack the needed flight and ground experience. We focus on the real thing and prepare you for that. When you finish with us you will be ready with full confidence in the IFR Multi engine environment.